operated for 60 years. We are a third-generation business. Located in the heart of the Pacific Northwest, some of our orchards have been growing for over 90 years. 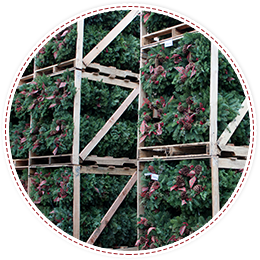 We are one of only three companies in the nation that combine holly grown on their own soil with evergreens harvested from the beautiful Northwest. We are a "green" operation, in that all is based on a sustainable harvest. No trees are logged. The protection of our forests is our future. 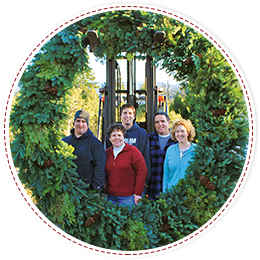 We produce and sell the most beautiful fresh Christmas wreaths, garlands and centerpieces in the Pacific Northwest. 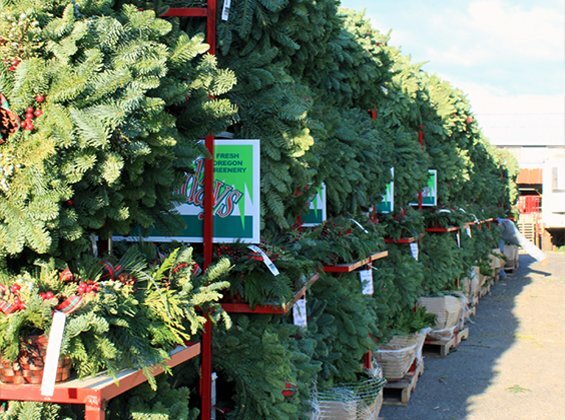 Enjoy the smell of Christmas all winter long with our fresh evergreens. 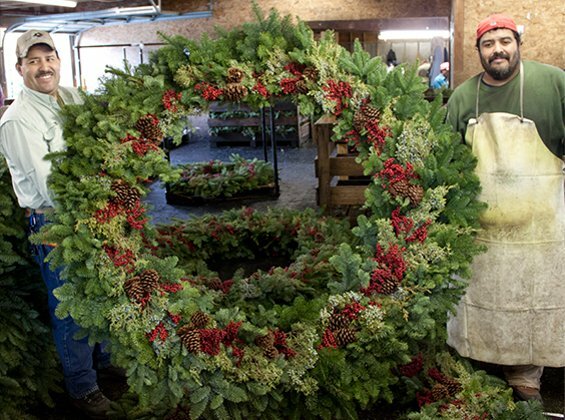 All of our wreaths are beautifully hand-tied, and our centerpieces skillfully hand-crafted, resulting in a product rich in appearance and bold in tradition. We have created beautiful lines of coordinating products to help you decorate every aspect of your home! Featured designs include our Festive Design Line, an elegant combination featuring a lush backing of Noble Fir accented with Princess Pine, Western Red Cedar, Oregonia, faux pearl berries, red Cedar Rose Cones and ribbon strips. Inspired by our colonial roots, our Potomac Line features a bountiful display of fruits and berries, red and natural Canella berries, Lodgepole Pine Cones, faux yellow pears and green apples and natural lily pods. The festive Berries and Bows Line includes all the traditional ingredients of the holidays. 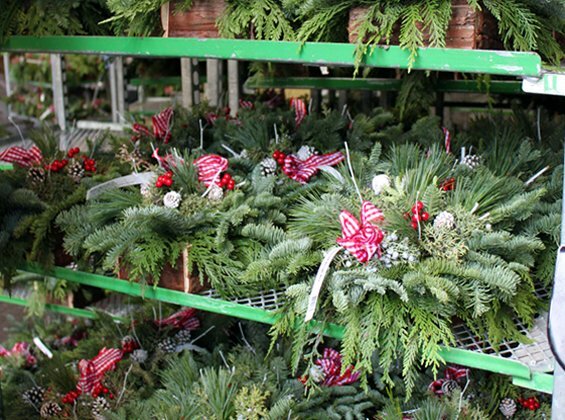 Noble Fir, Berried Juniper and Ponderosa Pine Cones are accented by plaid ribbon strips and faux red berries, adding a playful splash of color to these charming wreaths, mantelpieces and centerpieces. A natural medley of traditional holiday trimmings, the stunning Enchanted Forest Line includes a collection of rich Noble Fir, fragrant Berried Juniper, festive Ponderosa Pine Cones and elegant Canella Berries. 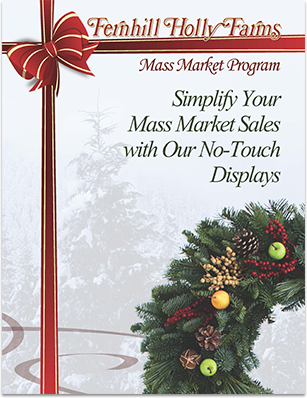 A striking combination in a Christmas wreath, centerpiece, mantelpiece and garland. And let's not forget about the kids! 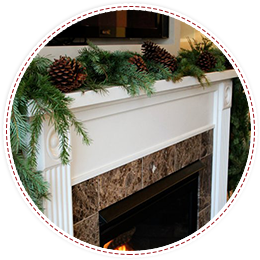 They will love seeing our Santa's Sleigh centerpiece on the dining room table or our Candy Cane wreath on the front door! Our Luxury Line certainly has something for everyone! 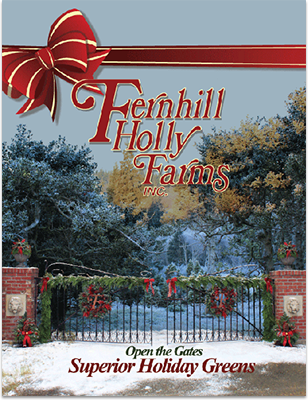 Spread some Christmas cheer this Holiday season with a fresh Christmas wreath or holiday centerpiece. 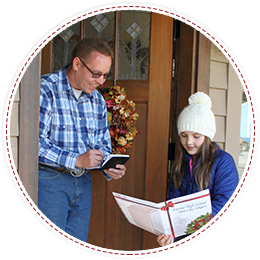 A gift everyone is sure to love, send the fresh smells of Chrismas right to their front doors.